It will be the first full-fledged, bilateral summit between Trump and Putin. President Donald Trump will meet with Russian President Vladimir Putin in Helsinki, Finland, on July 16. The White House said in its statement that "the two leaders will discuss relations between the United States and Russia and a range of national security issues." The Kremlin said "the present state and perspective for further development of Russian-American relations, and also current issues from the international agenda" will be discussed. 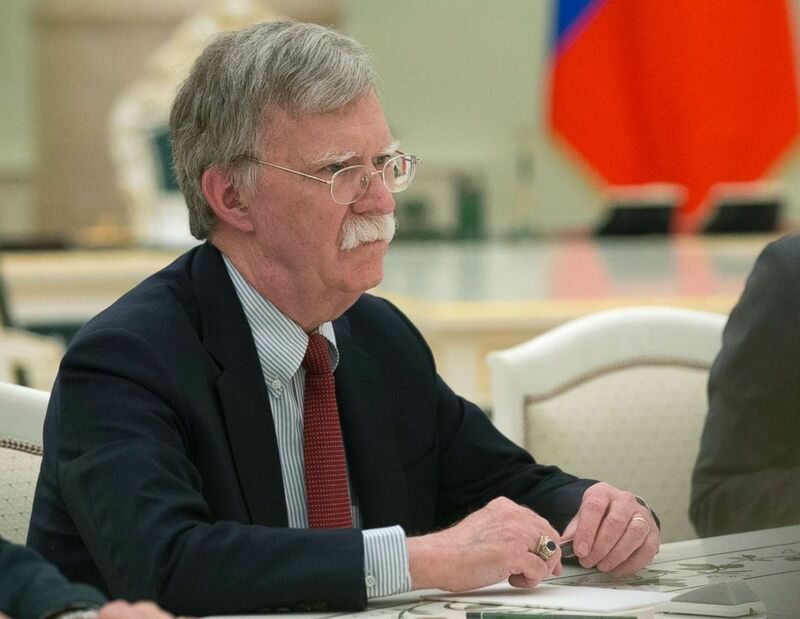 The two countries first announced plans for a summit on Wednesday after White House national security adviser John Bolton met with Putin and other senior Russian officials in Moscow to lay the groundwork for a possible meeting. Finland's capital has a history of hosting summits between U.S. and Russian leaders, from the Cold War through the Clinton administration. The most famous was in 1975 when President Gerald Ford met privately with Soviet Union leader Leonid Brezhnev. Out of that meeting came the Helsinki Accords, which pledged the 35 signatory nations to respect the post-World War II frontiers in Europe and also pressed the Soviet Union to implement policies protecting human rights and freedoms. Most recently, in 1997, Helsinki hosted a summit between President Bill Clinton and Boris Yeltsin, the first president of post-Soviet Russia. The meeting was a major breakthrough for both sides, with the two leaders agreeing on a range of security and economic issues. (Alexander Zemlianichenko/AP) U.S. National security adviser John Bolton speaks to Russian President Vladimir Putin during their talks at the Kremlin in Moscow, Russia, June 27, 2018. The Trump-Putin summit comes on the heels of a historic -- yet controversial -- meeting between Trump and North Korean leader Kim Jong Un in Singapore on June 12. As president, Trump has met Putin briefly twice before. They talked one-on-one for two hours during the G20 summit in Germany in July 2017 and met again on the sidelines of a November Asia-Pacific Economic Cooperation (APEC) summit in Vietnam. 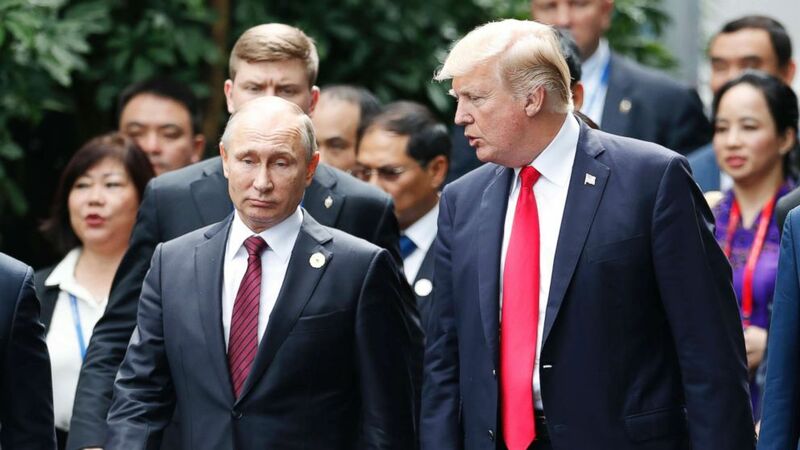 July's meeting will be the first full-fledged, bilateral summit between the United States and Russia since former President Barack Obama met then-Russian President Dmitry Medvedev in 2013. Trump's sit-down with Putin is expected to be fraught with controversy. Special counsel Robert Mueller continues to investigate whether any members of the Trump campaign colluded with Russian officials in their efforts to interfere in the 2016 U.S. presidential election. The upcoming summit also comes amid worries about Russia's behavior from some of Washington's longtime European allies. (Jorge Silva/AP, FILE) President Donald Trump, right, and Russia's President Vladimir Putin talk during the family photo session at the APEC Summit in Danang, Vietnam, Nov. 11, 2017. Relations with Russia between the United States and Europe have been on a downward spiral since the Ukraine crisis began in 2014, when Putin sent military forces into Crimea and ultimately annexed the autonomous region of southern Ukraine in an internationally unrecognized referendum. Trump has sought to ease tensions with Russia by taking a softer tone on some of Moscow's destabilizing activities. But relations have only worsened recently amid clashes over Russia's military involvement in Syria's ongoing civil war and the poisoning of a former Russian double agent in the United Kingdom. Just minutes before the two country's announced the details of the summit, Trump seemed to yet again cast doubt on the U.S. intelligence community's positive assessment that Russian officials meddled in the 2016 election. The president, via Twitter, directed his ire instead toward the FBI's probe into former Secretary of State Hillary Clinton's use of a private email server.